Dr. Elena Frid, Lyme Disease Association President Pat Smith, and other speakers. May 11. We invite you to join us for a day of education and awareness. Lunch will be provided from Panera Bread. Tickets available online and at the door the day of the event. Dr. Charles Curie, DVM is a local veterinarian who is passionate about Lyme disease education and awareness, and he will share his knowledge of Lyme disease and other tick-borne diseases in the animal population. Dr. Elena Frid is a Board Certified Neurologist and Clinical Neurophysiologist from NYC, specializing in Infections Induced Autoimmune Disorders. With clinical interests in Autoimmune Neurology, she sees patients (children and adults) with complex cases of Lyme disease and co-infections resulting in various neurological complaints. Dr. Linda D’Eramo practices Functional and Integrative medicine in Pittsburgh Pa, and is devoted to discovering the underlying causes of chronic medical conditions. She is passionate about helping patients with a multitude of ailments including thyroid disorders, adrenal fatigue, and autoimmune disorders such as Lyme disease. She will share with us the complexities and treatments of viruses and other pathogens that affect those battling Lyme disease. Dr. Adam Davis, DC from Jefferson, Ohio has a post-doctorate diplomate degree in Clinical Nutrition. He believes that any symptom, disease, or condition has an underlying nutritional aspect that must be addressed and corrected in order to be healthy. With a proactive approach he corrects imbalances and helps make positive lifestyle changes to prevent disease. He will share with our community the importance of proper nutrition while battling chronic illness. 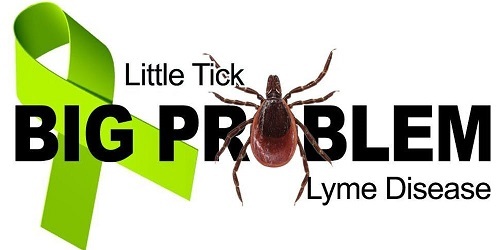 Pat Smith is the President of the Lyme disease Association, Inc from New Jersey. She has been instrumental in raising and distributing funds for Lyme and tick-borne diseases (TBD) research, education and other related Lyme and TBD issues. She is passionate about awareness and education and will travel to help us bring awareness to NE Ohio. Robert Giguere will be traveling in from IGENEX Lab Inc. to share information about correct testing for tick-borne diseases. He will cover topics like testing and current trends in Tick borne diseases etc. Dr. Glen Needham is an OSU Associate Professor Emeritus of Entomology.He has co-organized an Ohio 501(3C) to raise awareness about Lyme and other tick-borne diseases in Ohio and surrounding states. He will discuss his research of ticks and how they have affected NE Ohio.